There are 3 common freight services for shipping from China to Australia, including air freight, courier service, sea freight (LCL and FCL). Air freight and courier service are very fast and safe. Air freight is a port-to-port service, it requires consignee to arrange pickup and customs clearance after the cargo reach the destination airport. A air cargo price depends on departure and destination port, cargo weight, rates scale. Courier service is a door-to-door air cargo service, it is a good option for cargo weight less than 45 kg. Sea freight is the cheapest mode, but it have a long transit time within 20 – 30 days when shipping from China to Australia. 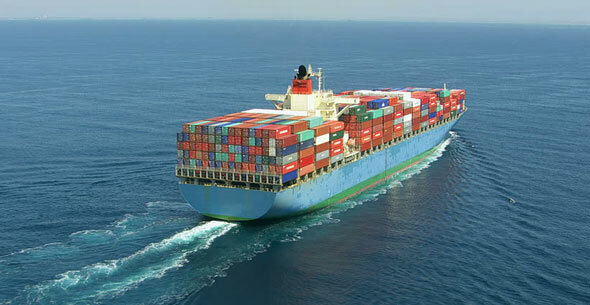 Besides, sea freight requires a minimum weight of 1 cube meter (CBM). Air cargo cost: Total weight * shipping price per kg + other fee like pick up or customs fee. Naturally, air freight have high speed in transportation. For example, If a regular direct flight takes off at Shenzhen Airport at 5 pm Tuesday, it will take 10 hours to arrive at Melbourne on Wednesday. Our air cargo service has variety direct flights to Sydney, Melbourne, Brisbane, Adelaide, Perth and other cities in Australia. Beside, we offer door to door air courier service, it is a good option for cargo with the light weight less than 45 kg. As you know, DHL, FedEx, TNT, UPS are the top 4 express companies in the word, they have set up delivery service in China and Australia for years. And their air cargo services is quick and safety. Are you looking for a door-to-door air service and want to know how much the cost shipping from China to Australia by air, please feel free to contact us! We are happy to get back to you. Our sea freight service covers all seaport in China, and we can pick your sea shipment anywhere and then arrange your cargo to nearest port. We have get access to container shipping network, sea routes can connect all seaport in Australia. If cargo is less than 20 CBM, we advise shared container service. Or it is more than 20 CBM, we should choose full cargo container service. 20 ft GP can load cargo up 17.5 tons or 33 CBM. 40 ft GP can load cargo up 22 tons or 68 CBM. The price for a full container from to Australia is very cheap. 1.20-25 days from Guangzhou to Melbourne or Sydney. 2.25 days from Guangzhou to Brisbane. 3.30 days from Guangzhou to Adelaide. Do you want to know more sea freight price and routes, please feel free contact us via phone or email info@prochinafreight.com!